.SERPENT Media Archive - Pyrgo sp. 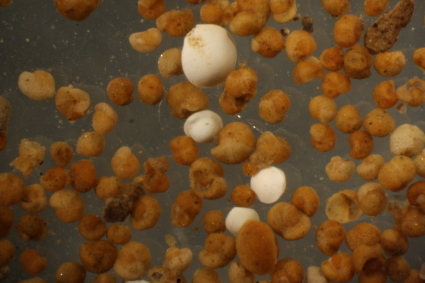 The white agglutinating foraminifera is Pyrgo sp. and the brown agglutinating foraminifera is Cribrostomoides subglobosum. The latter made made up about 98% of the sieved macrofauna samples (sieved on a 0.50 mm sieve) at Dalsnuten.